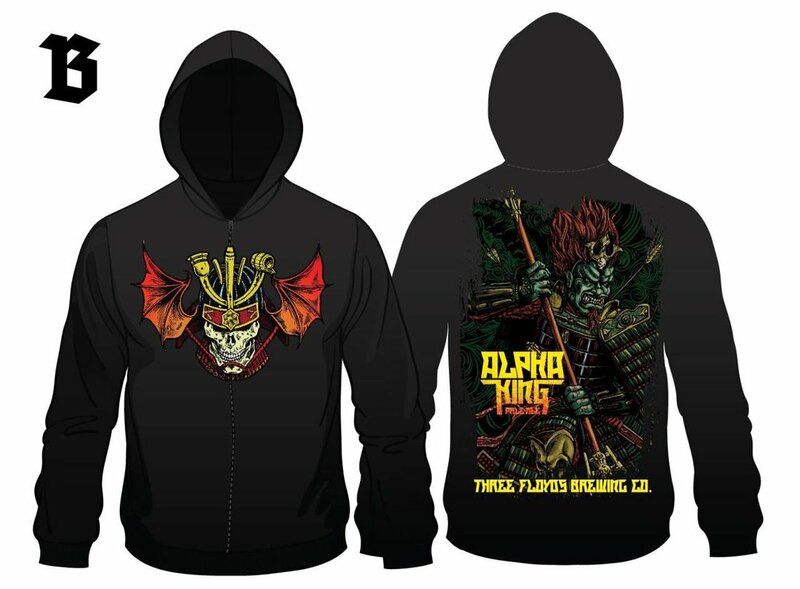 I was quite honored to get to redesign one of 3 Floyds’ flagship products, Alpha King. Based on the look of a Japanese guardian figure at the Art Institute, Alpha King became a samurai warlord crushing Mongol invaders. This project also included an appropriately-themed update of the famous 3 Floyds winged skull logo. Although I was not involved in its creation, I’m also quite happy that Alpha has since gone on to star in his own eponymous comic book, using my character design.